Bhagavad Gita Art Gallery--Plate 33: Krishna delivers His unalloyed devotee from the ocean of birth and death..
Krishna delivers His unalloyed devotee from the ocean of birth and death. 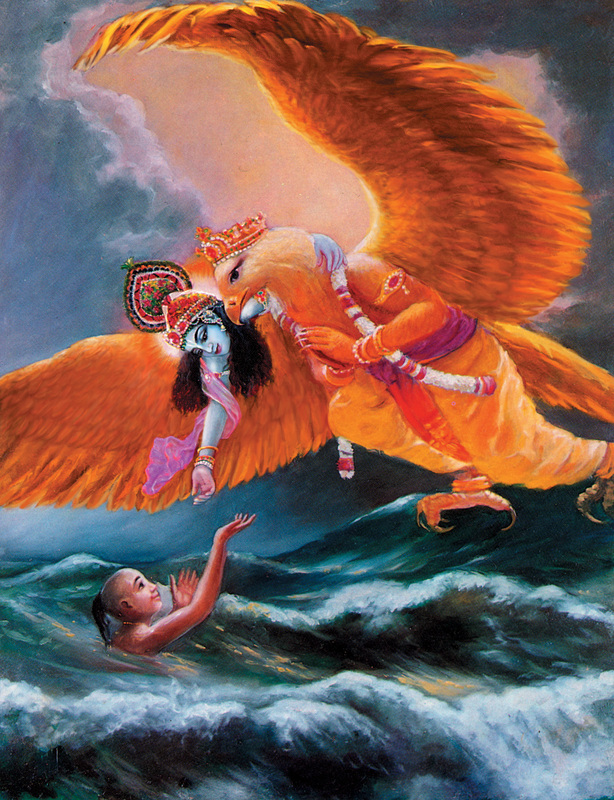 PREVIOUS Bhagavad-gita 12.6-7 Krishna is riding towards the devotee on Garuda, His feathered carrier,. In order to lift him out of the ocean of birth and death.